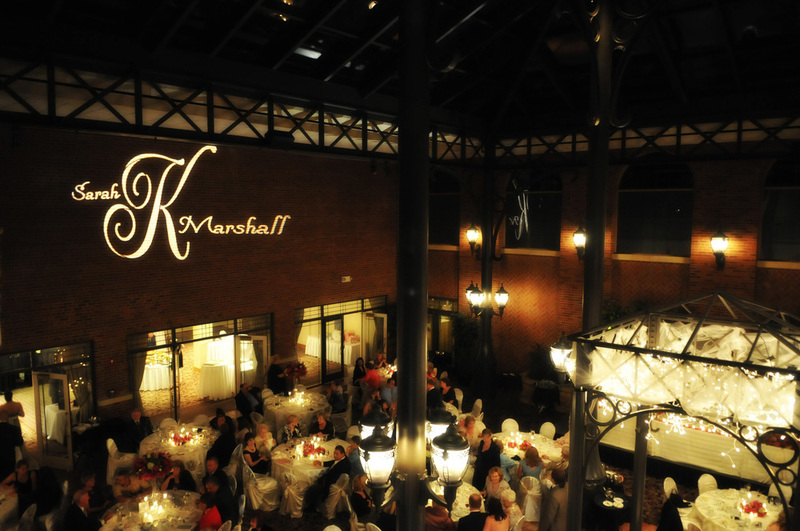 This is a very classic gobo monogram look for a wedding. The projector was located up on a balcony pointed directly across at the brick wall. The 2nd floor balcony provided an easy way to get a big, beautiful image. This photo was sent in from a DJ who rented a projector and provided his own monogram design for his clients. If you want to provide your own design, just email us the finished image and we'll load it up in the projector so its totally ready for display. This wedding was held in the Atrium room at St. John's in Plymouth, MI.